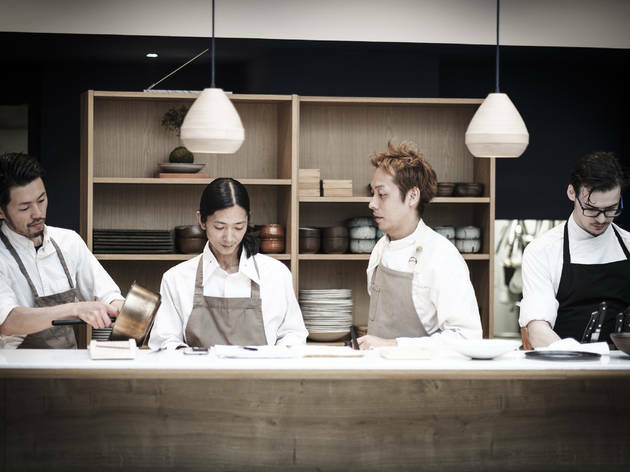 A Japanese-French fusion menu at a temple to sake. Who’s it for? Sake aficionados. What should I order? 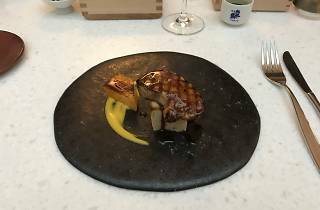 Sakura-smoked foie gras on toasted brioche with caramelised mango and balsamic vinegar reduction. Right in the middle of Maison du Saké, ERH is a 500m2 former spa redecorated as a luxurious modern loft space under a gorgeous glass roof. 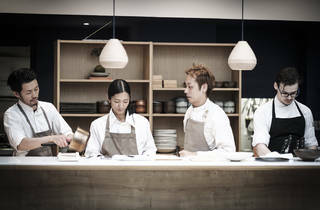 The French-Japanese menu is designed by Keita Kitamura, trained at Pierre Gagnaire and Narisawa, the Tokyo establishment often named among the world's best restaurants. Gaze at the dizzying collection of sake bottles and take a peek at the chef showing off his (alarmingly good) Japanese knife skills. The tasting menu is €65, including seven generous and unique courses. 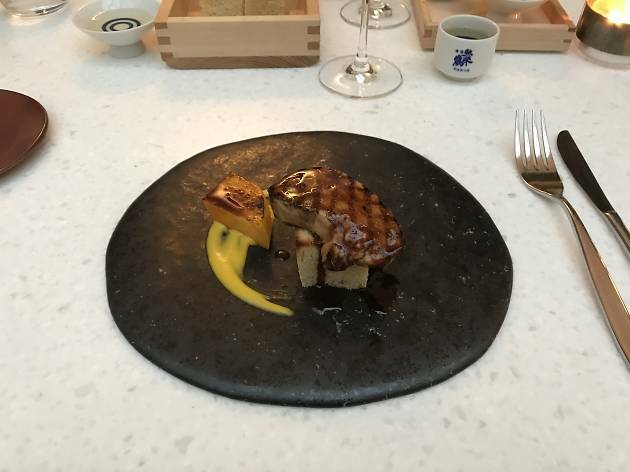 Sakura-smoked foie gras (that’s Japanese cherry wood) was paired perfectly with toasted brioche, caramelised mango and a balsamic vinegar reduction, while hay-smoked mullet and grilled mackerel came with a refreshing melange of beans and cucumber. What followed was just as surprising: iced milk with fourme d’Ambert cheese and poached figs. The tasting menu includes white wine or sake, with special mention going to the latter: fruity, fizzy or rustic sake, which lifts each dish up to true art.